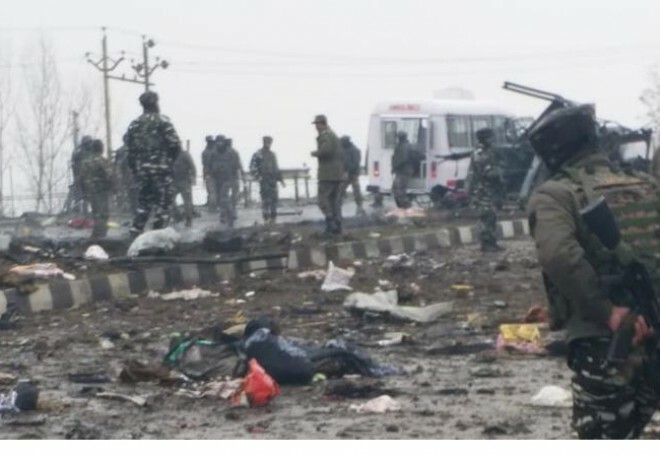 New Delhi, Feb 14: Here is the breaking news that, Twenty jawans were killed and 40 injured when a suicide bomber rammed a Scorpio car laden with 350 kg of explosives into a CRPF convoy in Awantipora town of Pulwama district on Thursday. According to the sources, This is one of the worst attacks since the 2001 Jammu and Kashmir legislative assembly car bombing. Though the official death toll stood at 20, multiple sources, including those in the CRPF control room, confirmed to media that 27 jawans were dead. The Officials Sources said Adil Ahmad Alias Waqar, a resident of Pulwama, was the man driving the car that rammed the 55-seater CRPF bus. Such a car bomb suicide attack is happening after several years. The Jaish-e-Mohammad terror group has claimed responsibility for the attack.